I'm sure this question has been asked before since it very obvious and I've heard it before. Nonetheless I've never heard a good answer and an internet search brought up nothing. The question is, how was the Torah (aka the Five Books of Moses) given if the story of the Torah being given is contained in the these books? In other words, the Torah tells the story - close to halfway through it - of itself being given. This means that as the Jews of the time were studying the Torah, they were learning about themselves in the present and reading about their future (including mistakes and sins they should have then avoided). How does this all make sense? Contrary to popular belief, the Jews didn't receive the entire Torah at Sinai. Rashi (verse 4) comments: And Moses wrote: From Bereishis and until Matan Torah. The later parts of the Torah were added on piece by piece and stitched on - very much like our Sifrei Torah today - over the next 40 years. It was still all the Word of Hashem, dictated to Moshe, though not all received on that day. An answer that deal with this is found at Who wrote the verse near the end of the story about Mahn in Shmot 16:35? The basic point is that Moshe Rabbeinu wrote the final version of the Torah just before he died when everything had already happened. An example is the cheit hameraglim (the sin of the spies) which caused the extra 40 years in the desert. had they not sinned, the incident would not have been in the Torah and Moses would have written the Torah just before they entered. Not the answer you're looking for? Browse other questions tagged history time pentateuch-chumash kabbalat-hatorah . 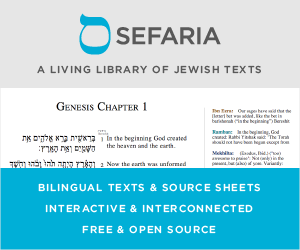 Sefer Devarim not part of the original Torah?